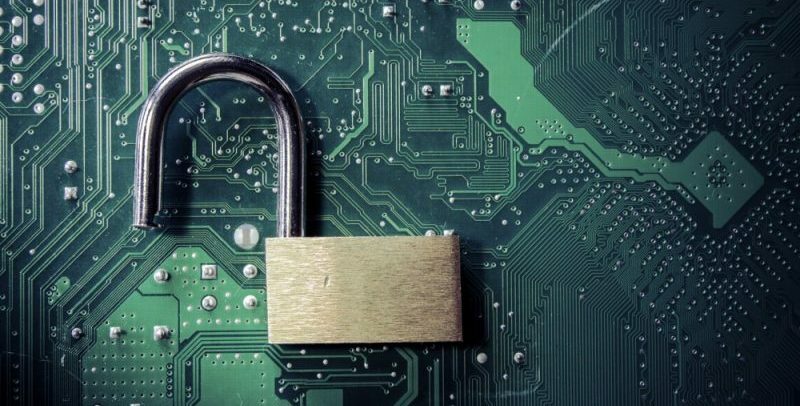 This article is an excerpt from GovLoop’s recent guide, “Your Guide to Cloud Security in Government Today: Making the Most of FedRAMP.” Download the full guide here. Today, citizens using government services expect secure and user-friendly digital experiences, delivered any time, at any place, on any device. And the same is true about the government workforce. Employees need access to an increasingly complex IT environment in which connections and services are no longer fully managed by the agency. To do this, more public sector agencies are moving their operations and applications to the cloud. And as they do this, agencies are looking to leverage a common cloud infrastructure, both on-premises and in the public cloud, to further increase agility and security. 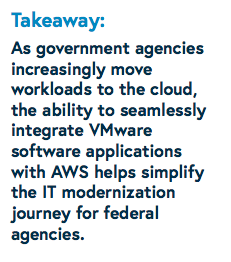 To better understand how agencies can have a smooth, easy path when moving workloads to the cloud while staying secure and agile, GovLoop sat down with Mike Wilkerson, VMware Cloud on AWS Specialist for Federal at VMware, a leader in cloud computing and virtualization. But agencies aren’t necessarily shutting down all infrastructure, Wilkerson said. “Given the sensitive nature of government data, they’re not shutting down everything; there will still be a mix of on-premise infrastructure and cloud, with public vendor cloud use,” he said. VMware offers VMware Cloud on AWS GovCloud, a secure platform for government agencies to further increase agility and security by accessing the benefits of public and private clouds. 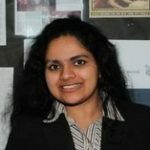 VMware has a long history of providing federal, state and local government agencies with software products that simplify the operation and management of IT. As part of its commitment to deliver technologies that help government operate more efficiently, VMware and Amazon Web Services, industry leaders in private and public cloud providers, announced VMware Cloud on AWS GovCloud back in June 2018. VMware Cloud on AWS GovCloud is a jointly engineered, highly secure, scalable hybrid cloud service that brings VMware’s software-defined data center software to AWS GovCloud. With the same architecture and operational experience on-premises and in the cloud, federal IT teams can now derive instant value from the use of the AWS and VMware hybrid cloud experience. VMware Cloud on AWS GovCloud allows agencies to securely deploy a hybrid cloud solution by seamlessly extending their vSphere-based infrastructures to AWS’s global infrastructure while maintaining operational consistency and leveraging existing tools in use today.